Many businesses in Ireland operate well designed share schemes for their employees. Encouraging employee share ownership may be part of a company’s overall culture or a mechanism to provide employees with tax efficient benefits. There are many types of schemes available. Revenue approved arrangements provide tax advantages whereas unapproved arrangements are more flexible. If you are thinking of setting up a share scheme or some other type of employee incentive arrangement there are some key issues to consider before selecting the arrangement that is the best fit for your business. What type of a business do you have? Is the company a private or public company? Is it a regulated entity or is it part of a group of companies, some of which are incorporated outside of Ireland? The type of business will influence the suitability of a particular type of incentive arrangement. For example, an unapproved share option scheme is likely to be more appropriate for an early stage business, whereas an Irish Revenue approved arrangement may be more suitable for a larger, more established business. What are your objectives for introducing a share scheme? An employer needs to give careful consideration as to what it intends to achieve by establishing a scheme. Those objectives will help shape the most appropriate type of incentive arrangement for the business. Reasons for adopting share schemes include the provision of tax efficient remuneration, attracting and retaining employees, incentivising improved employee performance and aligning employee and shareholders’ interests. Are there any commercial factors that the business needs to consider? An employer should consider the future commercial plans for the business when evaluating the type of share scheme it might adopt. For example, is it intended that external funding will be raised or is a trade sale or listing on the cards? Relevant commercial factors will affect the type and design of a share scheme. Do you want all employees to participate? 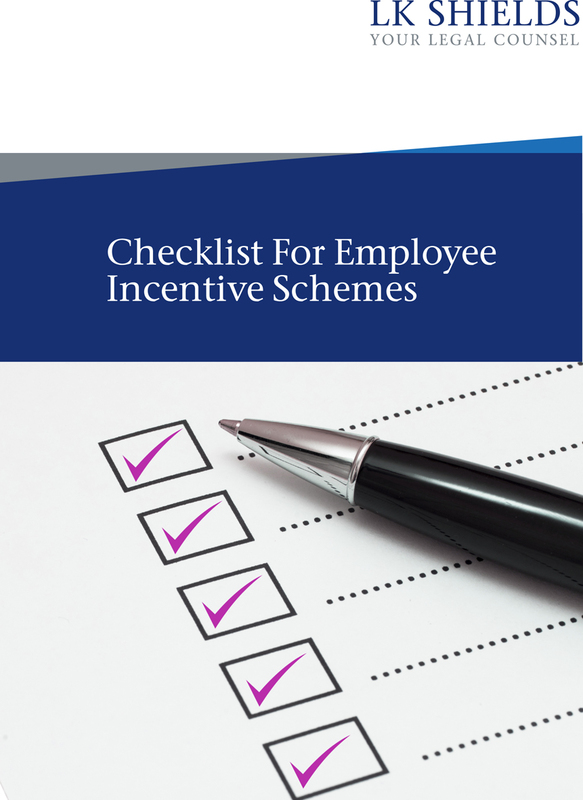 A key consideration is whether all employees will be eligible to participate in the scheme or merely key employees. Revenue approved arrangements must be made available to all employees on similar terms and will not be suitable if an employer wants to provide benefits to key employees only. Is it intended that shares will be issued to employees? There are a number of types of employee benefit arrangements available. If a business cannot or does not want to provide employees with equity based benefits then the types of arrangements available may be more limited but nonetheless highly effective (e.g. phantom schemes). A number of issues may need to be considered once an employer has selected the type of share plan to be adopted including taxation, any regulatory or compliance requirements, company law, equality legislation and trust law. Furthermore, a well-designed scheme should address potential pitfalls which may arise during the life of the scheme including share valuations, vesting, the treatment of early leavers and change of control/realisation events. The Minister for Finance, Michael Noonan, recently announced his intention to develop a new share based incentive scheme focused on small and medium sized enterprises. It is expected that the new scheme will be introduced in Budget 2018 and we will be providing updates once details of the new scheme emerge. Any business considering an employee incentive arrangement should seek professional legal and taxation advice at the earliest opportunity to ensure it adopts the most appropriate arrangement and minimises issues arising at a later stage. LK Shields is available to advise you on all legal aspects of employee incentives and the steps you need to take to ensure compliance with applicable law and current Revenue practice. To download a copy of the checklist, click here.